The reviews on the internet told us that your package enjoys good reputation. We managed to reach one of your clients and his feedback about your service is very good. That’s why we decide to take a picture at your company. We received a very warm welcome. During the meeting and fitting, the staff assists us choosing the clothes and accessories based on their proficiency. Although we speak different language, people are so kind and helpful that we don’t feel any language barrier at all. Five years ago, Okinawa was the first place we traveled abroad together. 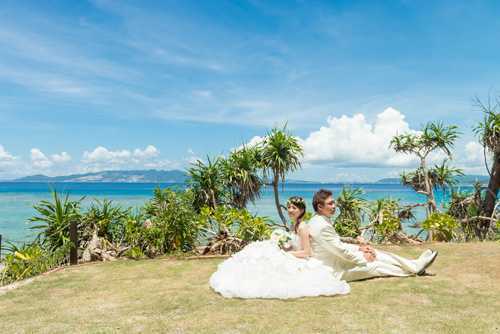 We love that Okinawa’s blue sky, sandy beach, and crystal-clean sea and believe there is the perfect setting for our wedding photos. 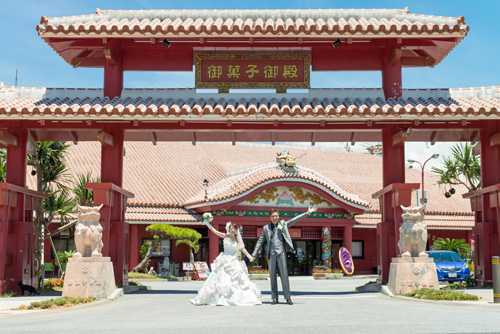 Besides, Okinawa is close to Taiwan, it is convenient for us to travel there. I am so impressed by the fact that a chapel could make so much profit. And the pictures reveal our natural smiles and reflect the happiness and joyless in our hearts. We are very satisfied and grateful for the photographer. 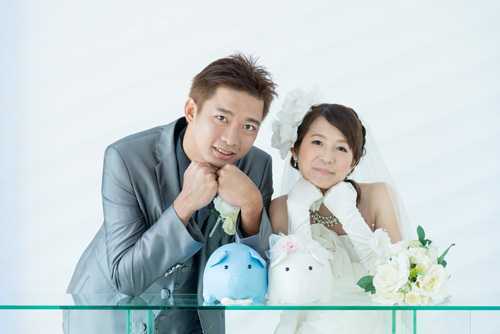 We will definitely recommend your company to our friends if they are getting married or planning pre-wedding photography. 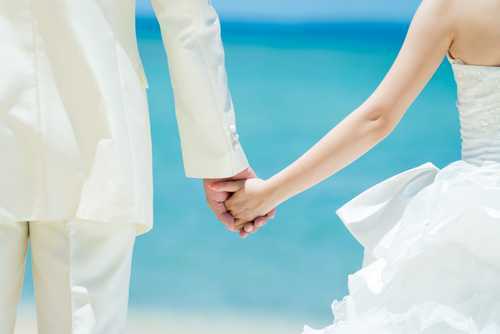 We believe they will be got a best memory of their life. Copyright © an deux fie Wedding All Right reseved.